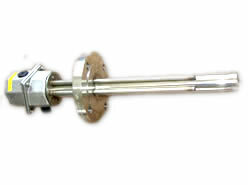 Stainless Steel Withdrawable Immersion Heater 1-500kW - Process Heating Services Ltd.
Stood-off terminal enclosures available for high-temperature applications. Available with any flange size. We can provide totally bespoke items to suit your exact requirements. …or call Jamie on 01827 703228 to discuss your needs. Whilst the “Contacts” forms serve a purpose, there is no substitute for a telephone conversation, perhaps supplemented with a photograph or two to jamie@nullprocessheatingservices.com. Everybody’s applications is different, and we take a pride in getting everything right first time. The best way to achieve this is through a two way discussion. We look forward to helping you address your requirements, and seeing your feedback on our ever growing “Tesimonials” page soon..